The iOS version of Edge uses the same WebKit engine that powers Apple's Safari, while the Android Edge is based on the Blink engine Google maintains for Chrome. 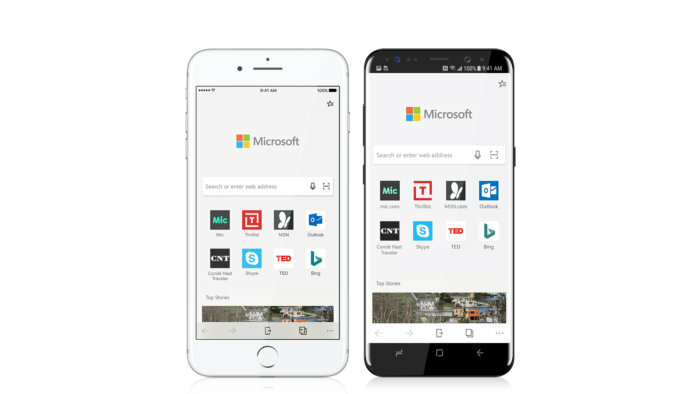 Microsoft on Thursday announced that it had created iOS and Android versions of its struggling Edge browser, and would make both available to users for testing. The company cast the Edge variations as critical to flesh out the Windows 10 feature known as "Continue on PC," which will debut with the Fall Creators Update, aka 1709 upgrade, set to begin shipping Oct. 17. The feature links a specific phone - or tablet - to a Windows 10 personal computer, then automatically hands off certain in-progress tasks, such as a half-finished Office document opened in a browser, from one device to the other. "What makes Microsoft Edge [on iOS or Android] really stand out is the ability to continue on your PC, which enables you to immediately open the page you're looking at right on your PC - or save it to work on later," Joe Belfiore, a Microsoft executive, wrote in a post to a company blog. Continue on PC roughly resembles the "Handoff" feature - and more generally, something called "Continuity" - that Apple introduced in 2014 with OS X Yosemite on Macs and iOS 8 on iPhones and iPads. "Consumers aren't going to care much about this, but [enterprise employees] working on Office 365 that have a meeting, they can grab their phone and fix [a document] in the car or on a plane," said Jack Gold, principal analyst at J.Gold Associates. "That could end up being a big deal." What might be only a minor convenience for a consumer, Gold added, could be a selling point for Windows 10 in the enterprise. And the latter is the customer category that Microsoft cares the most about: The enterprise is where it bags the bulk of its revenue. "Microsoft is all about the enterprise market," Gold continued. Microsoft's Edge variations for iOS and Android are designed to work with a Windows 10 feature known as "Continue on PC." Neither of the new Edge browsers was built atop the rendering engine Microsoft uses for Edge on Windows 10 - until now, the only supported OS. Instead, the iOS Edge relies on the same WebKit engine that powers Apple's Safari, while the Android Edge is based on the Blink engine that Google maintains for Chrome. In the case of iOS, using WebKit is a requirement for third-party browsers if they're to be hosted in Apple's App Store, the only sanctioned software mart. In a different company blog, Sean Lyndersay, principal program manager for Edge, failed to mention that limitation, implying that Microsoft had a choice in the matter and picked WebKit on iOS because it was "the core web platform technology" on Apple's operating system. At the same time, Lyndersay felt it necessary to quash any potential talk that these moves presaged Microsoft abandoning its own EdgeHTML engine. "We are proud of the work we've done with EdgeHTML on Windows 10 ... [and] are fully committed to continuing to do so into the future, across the full spectrum of Windows 10 platforms and form factors," Lyndersay said. The iOS versions of Google's Chrome and Mozilla's Firefox were also built atop Safari's edition of WebKit because of Apple's mandate. But Microsoft is not expanding Edge onto iOS and Android from a position of strength on Windows 10. Third-party analytics vendors pegged Edge's share of the Windows 10 base at an all-time low of just 18% last month, meaning 82% of those running Windows 10 turned to another browser in September. Edge's share of Windows 10 has fallen for more than two years; in mid-2015 it started at 36%, but had faded to 24% by the same time in 2016. While Edge could recover, the trend does not hint at a comeback. With Edge so little loved, why did Microsoft go to the work of crafting versions for iOS and Android, even if the job didn't involve porting the browser's native rendering engine? "They had to," was Gold's blunt assessment. "Edge is their web platform of choice, and many of the cloud capabilities, especially for business, rely on the browser. Cortana is key, long term, to them. 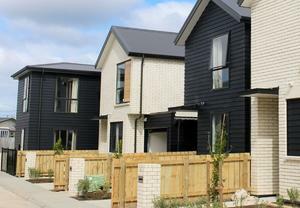 Some of the analytics capabilities in both consumer and business do, too," said Gold. 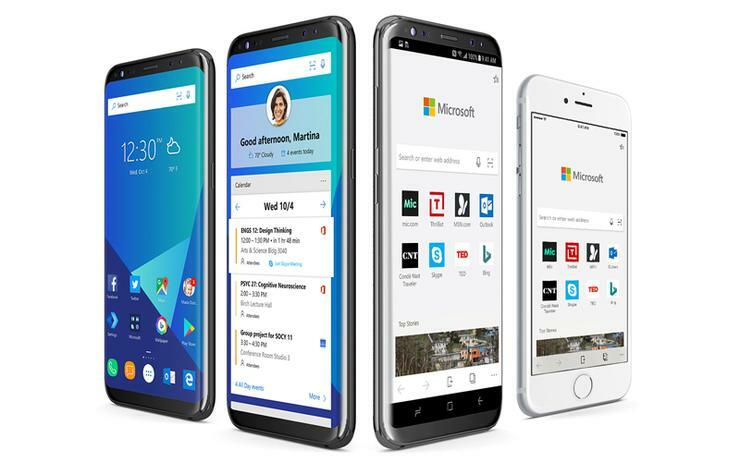 It makes sense for Microsoft to promote Edge, rather than rely on a rival browser brand, for iOS and Android, even if Edge on those platforms is just a wrapper around others' rendering engines, Gold said. "If enterprises look at Chrome as an option, what's to keep them from looking at Google Docs?" Gold asked, talking about the Google suite of browser-based productivity applications. "Microsoft may not want to be in this space," he added referring to the iOS and Android ecosystems, "but if you're an enterprise support iOS and Android, they'll give you a browser to run." Only Windows Insiders participants were eligible for the iOS Edge preview on iPhones. Support for iPads will be added at a later date, Microsoft said. Meanwhile, the beta of Android Edge for phones will open "soon," with a tablet version due after that. This site includes additional information about the iOS Edge preview. By yesterday, Microsoft had closed the iOS Edge beta, saying it had reached the 10,000-user maximum allowed by Apple.